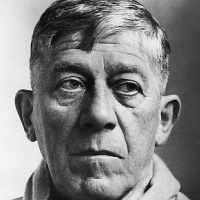 Oskar Kokoschka. 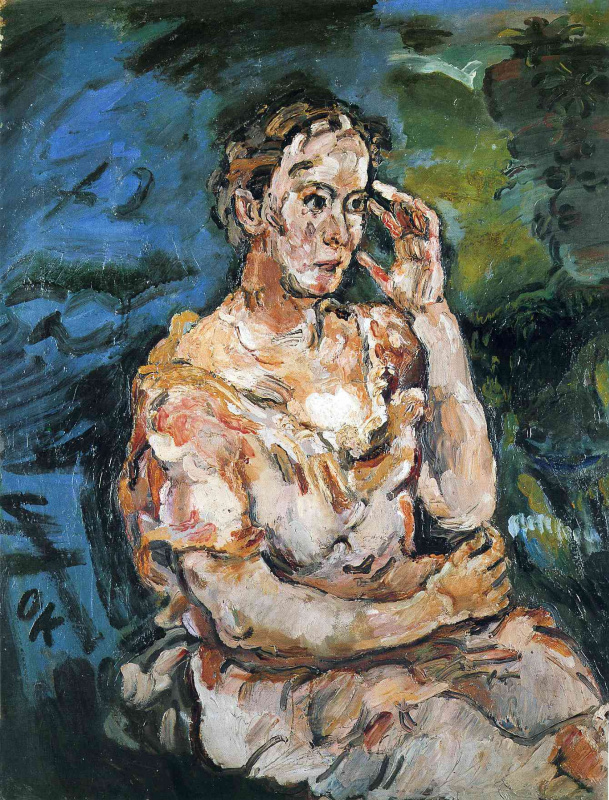 Oskar Kokoschka, March 1, 1886, Pöchlarn, Austro-Hungary — February 22, 1980, Villeneuve, Switzerland) — Austrian painter and writer of Czech origin, the largest figure of the Austrian expressionism in literature and fine arts. On his father belonged to the genus known Prague jewelers. In 1903−1909 studied at the Vienna school of arts and crafts, among his teachers was Gustav Klimt. In 1908, his works were exhibited artists-modernists, close to Klimt. 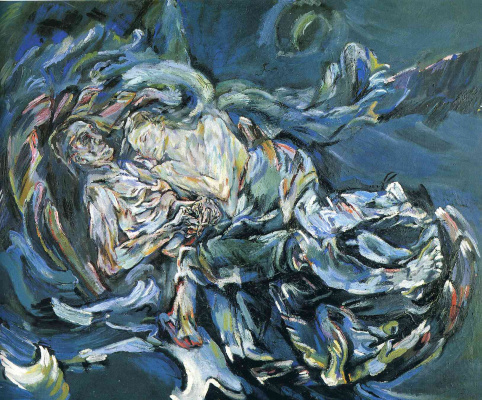 Staging drama Kokoschka "Killer, the hope of women" (1907) in Vienna caused a scandal (in 1921, Paul Hindemith wrote an Opera based on it). The Kokoschka patronized by the famous Viennese architect Adolf Loos, belong to this period portraits Viennese celebrities (Karl Kraus and others). In 1910 he became a close in Berlin with expressionistic group "Storm", met with Kandinsky. In 1911−1913 experienced a whirlwind romance with the famous Viennese beauty Alma Mahler, at that time — the widow of the famous composer and conductor Gustav Mahler (later she was married by the architect Walter Gropius and then for the Franz Werfel). Unable to get rid of the painful memories of her, Kokoschka in 1919 commissioned in Stuttgart female doll life size, which later described in the book "Fetish" (1925). 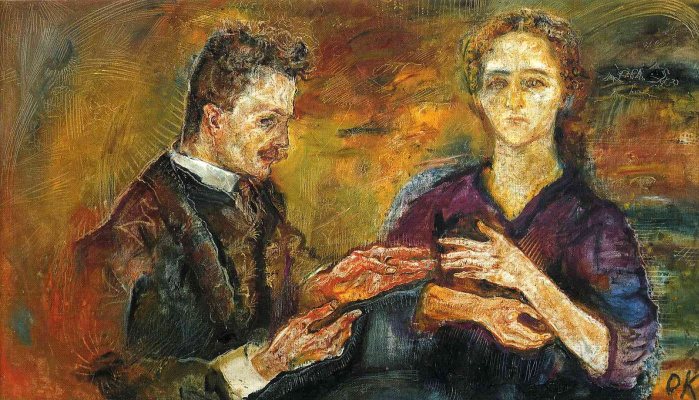 Kokoschka participated in the First world war, was wounded in 1915 on the Galician front, survived the captivity, recognized by doctors mentally unstable. 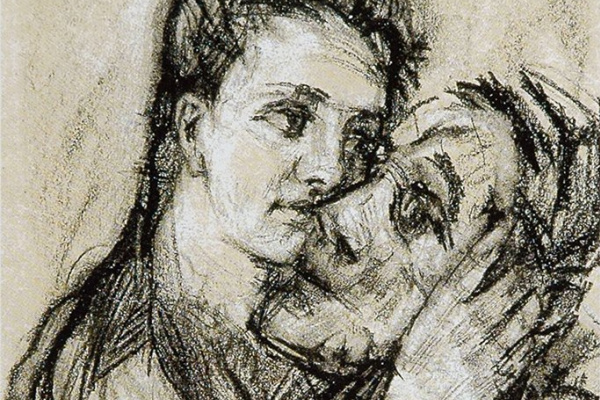 In 1916 Kokoschka met Hofmannsthal and Rilke. Impressions from the war entered in the drama "job" (1917). 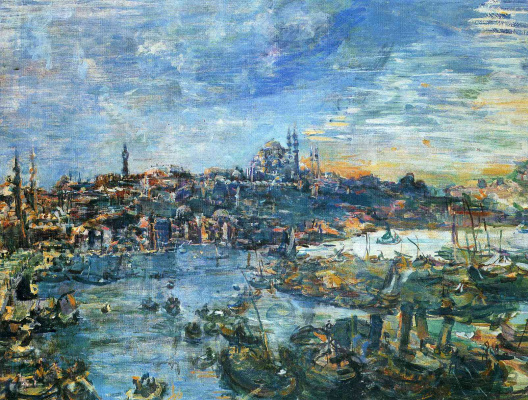 In 1919−1924 Kokoschka was a Professor at the Dresden Academy of arts. In his drama "Orpheus and Eurydice" (1919) written Opera Ernst Krenek (1923). In 1922 he wrote a portrait of the actress Mary Orsk, which is now stored in the form of lithographs in several museums. In 1922 and 1932, the works of the artist participated in the Vienna Biennale. 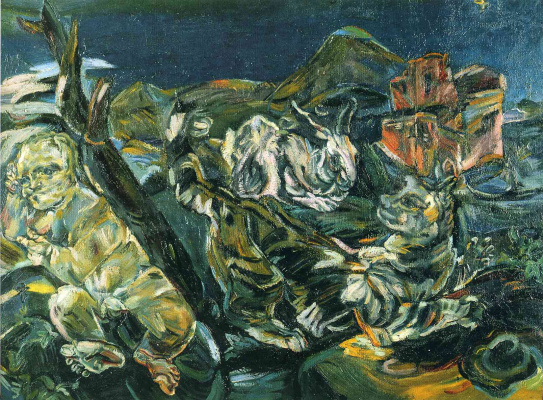 About them responded negatively to Mussolini, supported by this Pro-Nazi government in Vienna (in 1937 painting Kokoschka was featured on the famous propaganda exhibition "Degenerative art", organized by the Nazis). 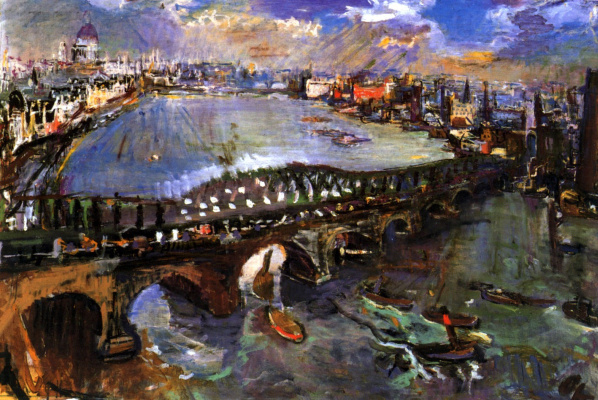 In 1934 Kokoschka moved to Prague in 1938, after the Munich agreement — in the UK, in 1946 received British citizenship. From 1947 he lived in Switzerland. 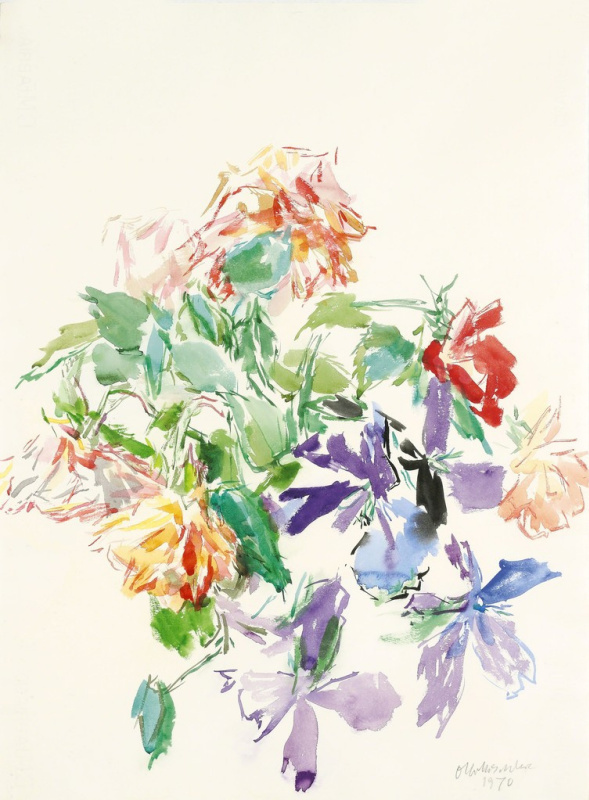 After the Second world war, his work has been exhibited in 1945 at the exhibition in Vienna, together with the paintings Klimt and Schiele, in 1947, its exposition was successfully held in Bern, and in 1952, at the Vienna Biennale he was given a separate room. 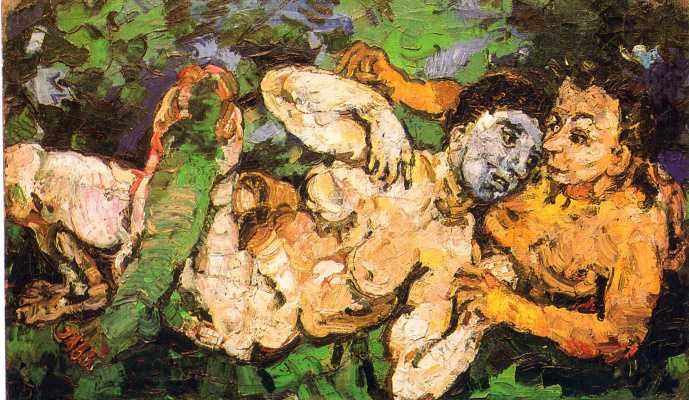 In 1952−1963 Kokoschka taught at the summer Academy of fine arts in Salzburg. In 1955, 1959 and 1964, his works were presented at the Kassel exhibition "Document". In the 1960-ies acted also as the set designer (the Magic flute by Mozart, 1964, and others), worked as a designer on TV ("Rosmersholm"by Ibsen drama, 1961). In 1981 large retrospective exhibition of works Kokoschka held in London and new York, 1986 in new York’s Solomon R. Guggenheim Museum. Albrecht Dürer and Mark Rothko, Oskar Kokoschka and Richard Gerstl, Baroque exhibitions from Caravaggio paintings to the sculptures by Giovanni Lorenzo Bernini, as well as the most outstanding works from the Princely Collections of Liechtenstein are all represented by the leading museums of Vienna until the end of 2019. Here are nine best exhibitions worth visiting while in the Austrian capital.